← Happy Birthday US Marines! 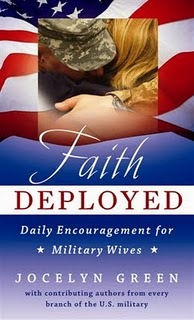 Posted on November 12, 2010 by RachelB	• This entry was posted in Book Reviews, Faith, Inspirational, Military, Prayer and tagged Faith, Family, Hope, Inspirational, Military, Prayer. Bookmark the permalink.